What do you get the poker-playing, card-loving, ace-drawing friend who has everything? More card-related stuff, of course! (Trust us, you can never have too much or too many of whatever you’re already picturing right now.) 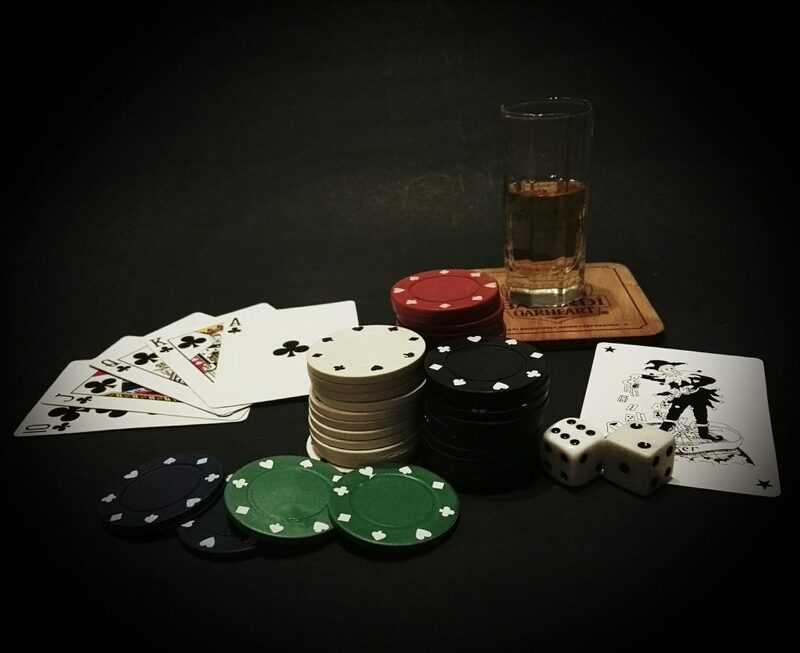 Alex has found us some of the best poker-themed items for sale around the internet – perfect for that poker-playing friend, or for discreetly sneaking into the poker room yourself before anyone notices you bought it. Pretty up the poker room by considering some wall decals: Why not? Four walls, four suits… Kind of like it was made to be, don’t you think? For starters, one option is the Spade Wall Decal on Etsy from MTL Decals for $19.90, here. Now, if decals aren’t quite enough for you, you can order a poker room sign instead. Here’s one available from The Sign Post for $22.00, and you can have it personalized with their name. This line of party supplies called, aptly, Place Your Bets, is available online from the party supplier PartyCity.com. They stock pretty much everything you would need to host a card-themed party – for yourself, your card club or the kids: Tableware, balloons, napkins, wall decorations and banners, lanterns, even gold coins – plastic, not chocolate – just in case you want to bring an old-time feel to the game. Because you can’t play poker without a table. (Well, at least until they invent cards that hover in mid-air a la Harry Potter.) When you’re buying a poker table for someone else, please keep their space needs in mind: There’s nothing worse than realizing it won’t fit or is too heavy to carry up to the second-last floor of the apartment building! If you aren’t sure, ask – or measure when they’re not looking. Poker tables are available in almost every style from sites like Discount Poker Shop, Thos Baker, ProCaliber Poker and, of course, by looking around on eBay. Deck boxes are great: They keep your cards safe and away from the dangerous, dangerous elements. You can find great ones all over the internet: Some of the coolest ones we’ve seen include this leather case (holding two decks) from Etsy user FoxAndDragon and some of the card deck boxes available from UltraPRO. More awesome deck boxes and cards can be found on our Card Accessories page. Now, for the serious poker player and steampunk-fan, there is this: A steampunk-themed poker set available from Etsy for $99. It includes two sets of Bicycle cards, customized chips and a durable wooden box to store it in for the long haul. Steampunk-themed costumes optional. Just how much do you love chocolate? This has to be one of the greatest items that has ever been invented, at least to everyone in the world who goes crazy for cocoa. My Chocolate Coins produces custom coins out of award-winning Callebaut Belgian Chocolate. You can order chocolate casino chips at their webstore. Should add something interesting to your next game. You can find poker chips, wearables, tables and more on our Poker Supplies page right here on Gifts for Card Players. Let us know what’s on your poker room wishlist! Is online gambling legal in my country?